When the hustle and bustle of the holidays starts to slow down, I like to take time to enjoy little indulgences. Most often this means pampering my skin and enjoying the aroma of products that make me feel calm and comfortable. After all the errands and hectic plans around the holidays, every little bit of relaxation helps! 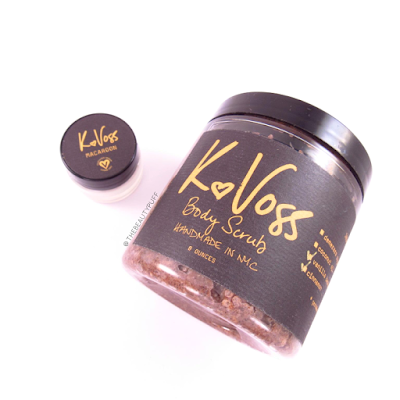 This is why I've been particularly excited about two products from KVoss NYC - their rich body scrub and smooth, comforting Macaroon lip balm. Imagine the enticing aroma of cinnamon, vanilla beans and coconut filling the air. You might be thinking of your favorite holiday dessert, but I am describing the KVoss Cinnamon Vanilla Body Scrub. It is unlike any other scrub I have tried. Its thick consistency allows you to see and feel the natural ingredients that exfoliate your skin. 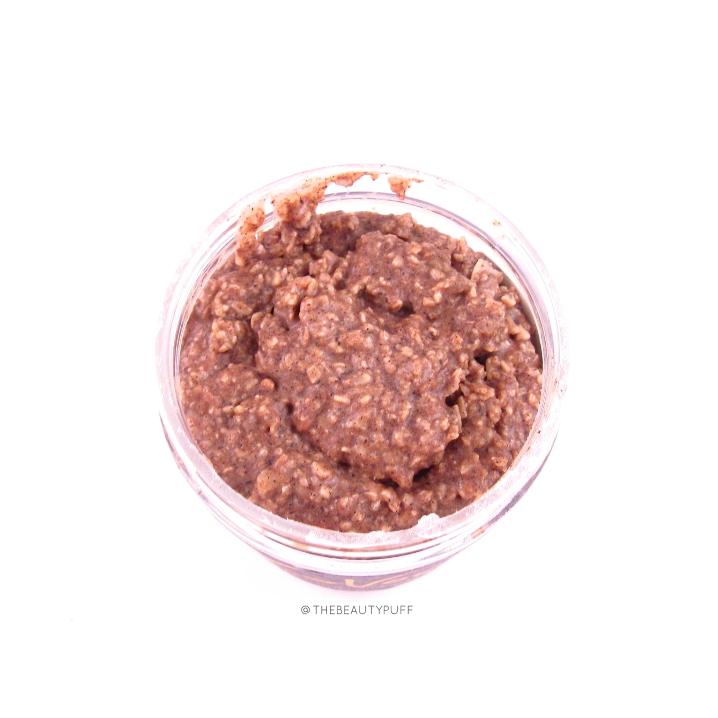 This scrub is so thick, you need to dig the product out with your fingers in order to use it. It softens with the warmth of your hands to allow the grapeseed oil to hydrate and smooth your skin. It also exfoliates with the help of ingredients such as Himalayan sea salt which removes dead skin cells to help improve its texture. Plus, the cinnamon keeps your skin in check with its anti-bacterial properties. It's definitely a great multi-tasker that's an indulgent treat for your skin. Personally, I like to leave it on for a while to let the moisture soak in and further enjoy its delicious scent. After a shower, or any time of day, I enjoy the intense hydration of the Macaroon lip balm. This lip balm contains almond, coconut and olive oil along with macaroon essential oil for a sweet-smelling, nourishing treat. 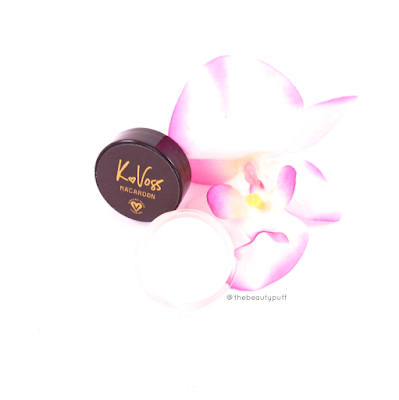 It is a very smooth, glossy balm so I use it when I am not putting other lip products on. I like how I can feel the natural oils really coat my lips. It's very comforting especially now that my lips have started to get a bit chapped. This lip balm works to repair, strengthen and protect skin while relieving discomfort, which is an absolute necessity this time of year. Though we certainly haven't reached the coldest part of winter, I've already been using this lip balm a lot so I'm prepared whenever Mother Nature brings on the frigid temperatures!